design, develop and pitch your own startup idea! Boston University’s new student innovation center. including BU students, faculty, and staff. networking with some of Boston’s coolest founders and companies. social impact field trip to freight farms - a company founded in boston that has built the world's first hydroponic shipping container farm. Are you passionate about solving big global challenges like global warming, social injustice, quality education, and reducing poverty? Social Impacts Startups is a two-week program for high schoolers to investigate problems they care about and develop impactful solutions. 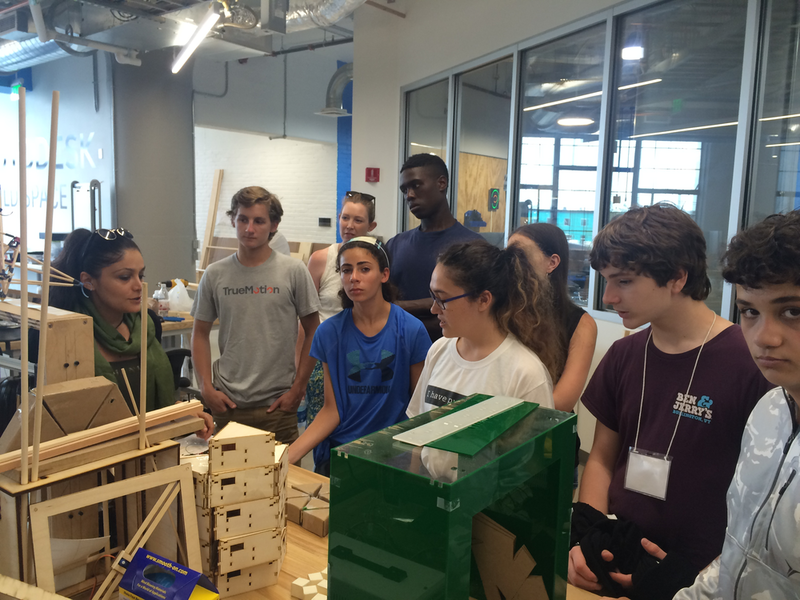 Through hands-on activities and workshops, students work in teams to explore tools and strategies to bring their own social impact idea to life. Teens will meet with some of BU’s most passionate collegiate social entrepreneurs, learn about social impact work happening around the campus, and network with leaders across Boston driving local and global change. If you’re curious about how to leverage your passion for change in college and as a future career pathway, this is a great program for you! Social Impact Startups culminates with a Pitch Festival, where teams present their work to a panel of judges (local social entrepreneurs and funders), family and friends. steam field trip to the autodesk build space - a collaborative research & development workshop for the future of building located in boston’s innovation district. Are you curious about the intersection between technology, problem solving, and entrepreneurship? STEAM Startups is a great program to explore the huge growth in STEAM (science, technology, engineering, arts and math) -related solutions, and learn how companies leverage innovation and design to build new products and services for customers. Through hands-on activities and workshops, students work in teams to explore tools and strategies to bring their own STEAM-driven solution to life. Teens will meet with some of BU’s most innovative collegiate entrepreneurs, learn about STEAM initiatives happening around the campus, and network with leaders across Boston building some of the most creative and tech-driven solutions in the world! If you’re curious about how to leverage your passion for STEAM in college and as a future career pathway, this is a great program for you! STEAM Startups culminates with a Pitch Festival, where teams present their work to a panel of judges (local entrepreneurs and investors), family and friends.